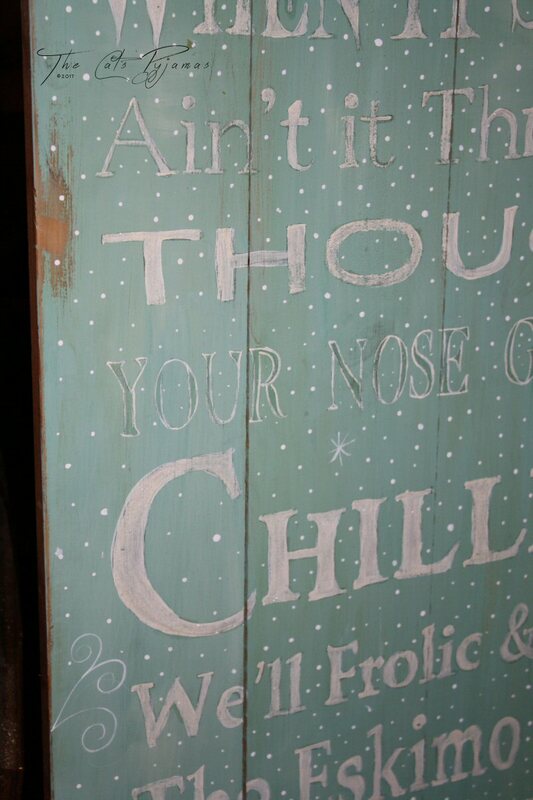 Two different signs painted on salvaged wood with "Oh Holy Night, the stars were brightly shinging" and stars hand-painted in white and distressed. They're pretty much the same, one is just a little longer. They are very lightweight and I didnt' add hangers. I thought they'd be pretty setting on your mantel, especially at Christmastime with lights and greenery around them, but you could easily add a hanger. One is 18" x 3.5" and the other is 21" x 3.5"